Ryan Calkins, a former import-business owner who ran largely to the left of his opponent, will take office on Jan. 1. This story was updated Nov. 15 to include John Creighton’s statement. John Creighton, the longest-serving current Port of Seattle commissioner, has lost his re-election bid despite a huge fundraising advantage, as King County voters opted instead for progressive challenger Ryan Calkins. The latest ballot drop Tuesday left Creighton with 47.4 percent of the vote, trailing by more than 23,000 votes — a bigger margin than the number of ballots left to be counted. The result was somewhat surprising: Creighton, a Port commissioner for 11 years, won in a landslide four years ago. Four years before that, he didn’t even draw an opponent. This time, Creighton had gained the most votes among four candidates in the August primary. And he had raised $164,000 — nearly double the amount raised by Calkins, or by any of the candidates running in the other two Port contests. Creighton was backed by some interests with Port-related business, such as airlines and employee unions, and kicked in about $19,000 of his own money. He spent some of the money buying pricey TV ads not often seen in the low-key Port election. 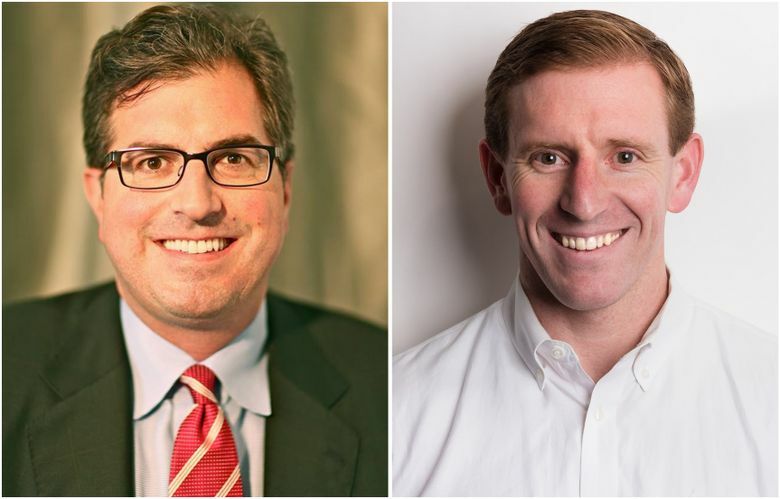 Creighton actually had a slim election-night lead Nov. 7, but late votes tabulated over the past week have come in overwhelmingly in Calkins’ favor. Calkins, a former import-business owner who now works at a Seattle nonprofit helping low-income entrepreneurs, ran largely to the left of Creighton. He supported efforts to bring high-speed rail to the region to help deal with growth at Seattle-Tacoma International Airport, backed more density near Port-owned property in Sodo and wanted the Port to change its flat property-tax levy so poor households would be exempt and wealthier residents charged more. Calkins said what made a difference was constant voter outreach by him and his volunteers over the last few months, with a special focus on meeting with voters in South King County and in underrepresented communities of immigrants and refugees. Calkins will begin his four-year term Jan. 1. Among his early priorities will be trying to move monthly Port commission meetings, typically held at either Pier 69 in Seattle or the airport, to various spots around the county to encourage more public input. Creighton served as president of the port commission multiple times during his 11 year tenure. In his campaign, he cited his role leading the Port’s Century Agenda program, aimed at creating jobs and reducing the port’s environmental impact, as a key achievement. But he was also dogged by divisive decisions and past controversies. Two years ago, the commission angered environmentalists by allowing Shell to dock an oil rig in Terminal 5 to prepare to drill for oil in the Arctic Ocean, a decision Creighton later said he might have done differently. Creighton and his allies on the Port Commission had angered many Sonics fans with their opposition to Chris Hansen’s proposed NBA arena in Sodo, which the Port said would disrupt its operations in the industrial area. And this past year, the commission’s hand-picked CEO resigned amid a series of public-trust issues, including an illegal payout to Port executives. Creighton is also the focus of a lawsuit brought by former Port employees who say he ousted them to help some small minority-owned firms that donated to his campaign; he denies any wrongdoing. With the retirement at year’s end of another longtime board member, Tom Albro, the longest-tenured commissioners on the five-member board will be Stephanie Bowman and Courtney Gregoire, who both joined the commission in 2013.